provide thousands of lights to children around the world. His motto? Dream Big. Do Bigger. He was on a cross-country trip with friends, exploring America and savoring every new experience, when he fell from a structure he was climbing in Seattle. Just 19, he was here one moment and then suddenly gone. In his honor, we’re committed to ensuring that Luke’s fire and spark continue to light up the world. Help us send solar lights to children in Free The Children partner communities who live without electricity so they can study, play and thrive long after the sun goes down. For every $10 donated, a light will be given to someone in need. The light, a multipurpose solar powered LED. Join us in honoring Luke’s memory and light up the world for children in need. The Luke’s Lights movement is channelling grief into action and acting as a salve for our broken family. Luke sat in a smoky dung hut in Kenya with eight children laughing as he showed them, with his flashlight, how he could touch his nose with his tongue. He left there concerned for their darkness, for their lack of opportunity, for their lungs amidst the smoke, for their studies—but not for their spirits. Luke saw those children and their mama as happy people with the unbridled power of ‘WE’. His ability to see the light inside everyone defined who Luke was and how he lived in this world. Luke is surely smiling watching kids take little powerful green solar lights home. Our tears flow more joyfully when we think of Luke’s departure from this earth having an impact that mirrors his lightness of being. —Gisela Voss, Luke’s mother. Always. 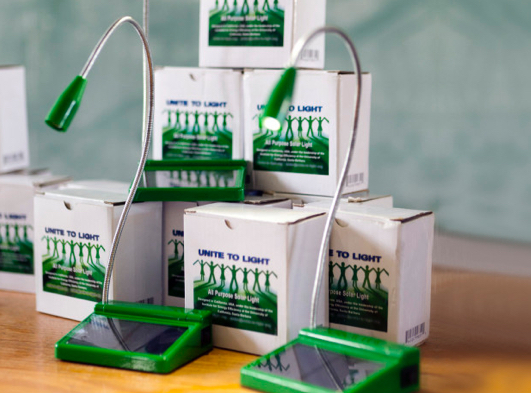 Through Unite to Light, a not-for-profit 501 (c) (3) corporation, lights will be distributed to children in need in Free The Children partner communities around the world. 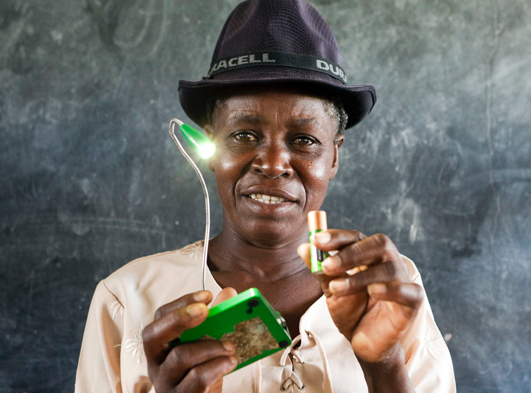 These lights serve as a low cost lighting option for those without electricity. The lights also eliminate the health and environmental issues associated with existing light sources used by this population, such as kerosene. In doing so, children have the opportunity to study in the evening. 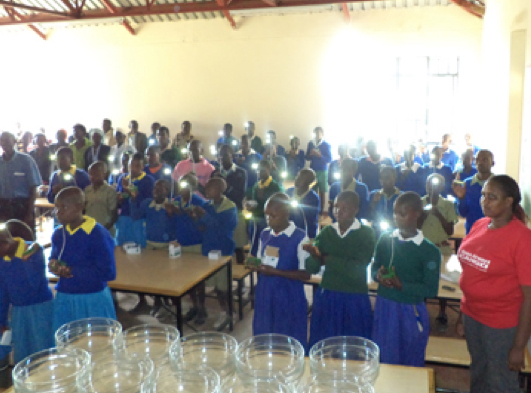 Students at Free The Children’s Kisaruni All Girls Secondary School receiving the first 100 of Luke’s Lights.